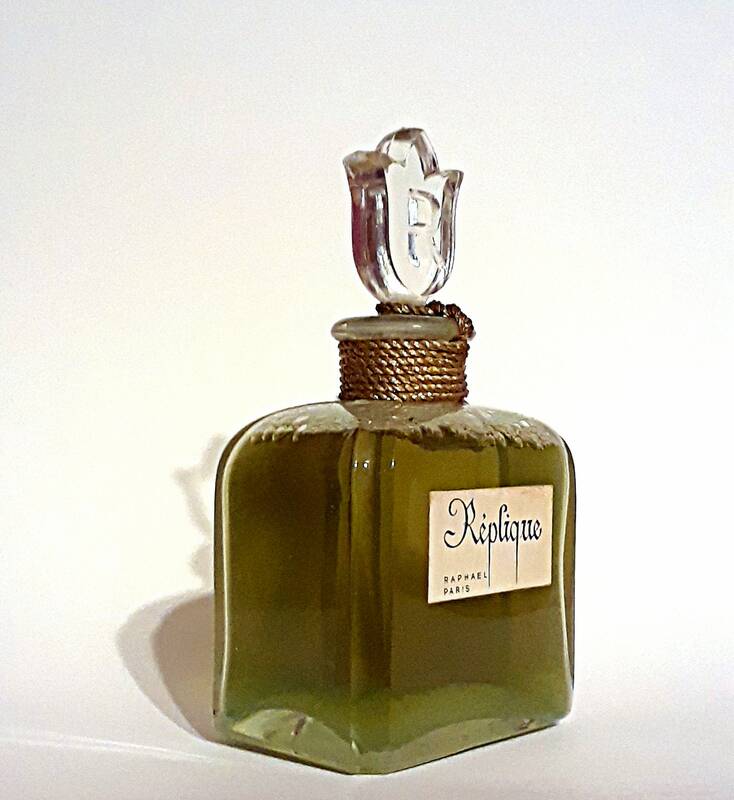 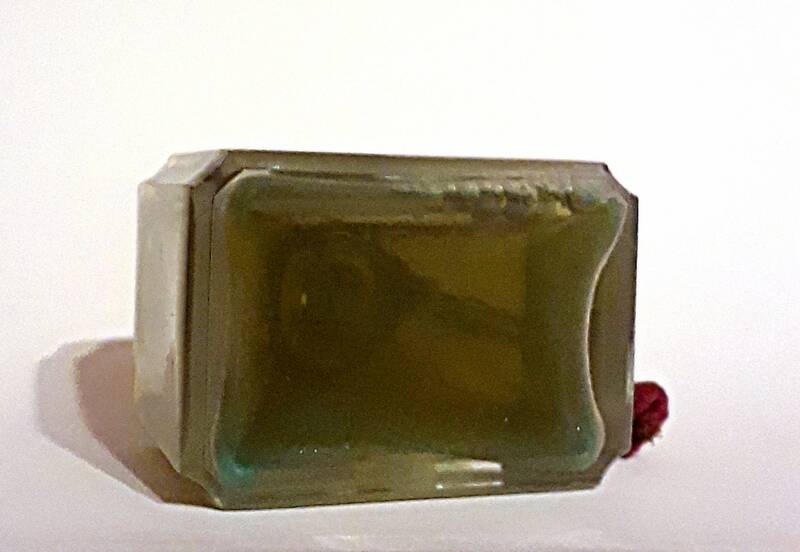 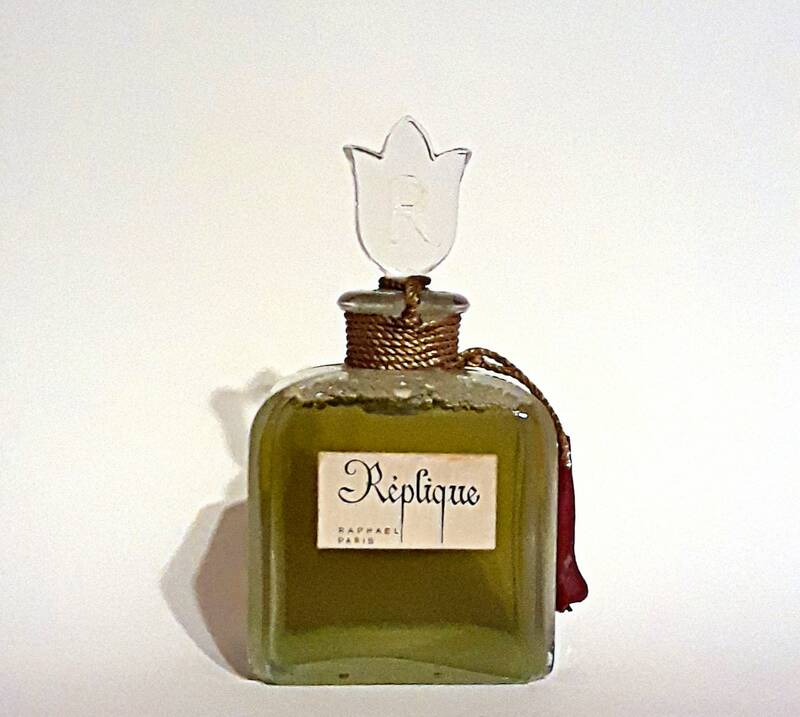 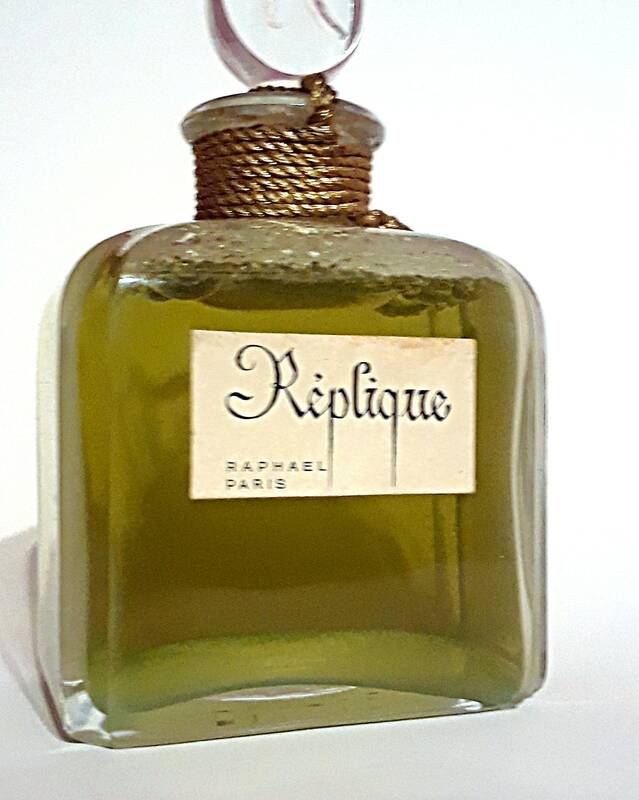 Vintage Perfume 1950s Replique by Raphael 3 oz Parfum Factice Dummy Bottle. 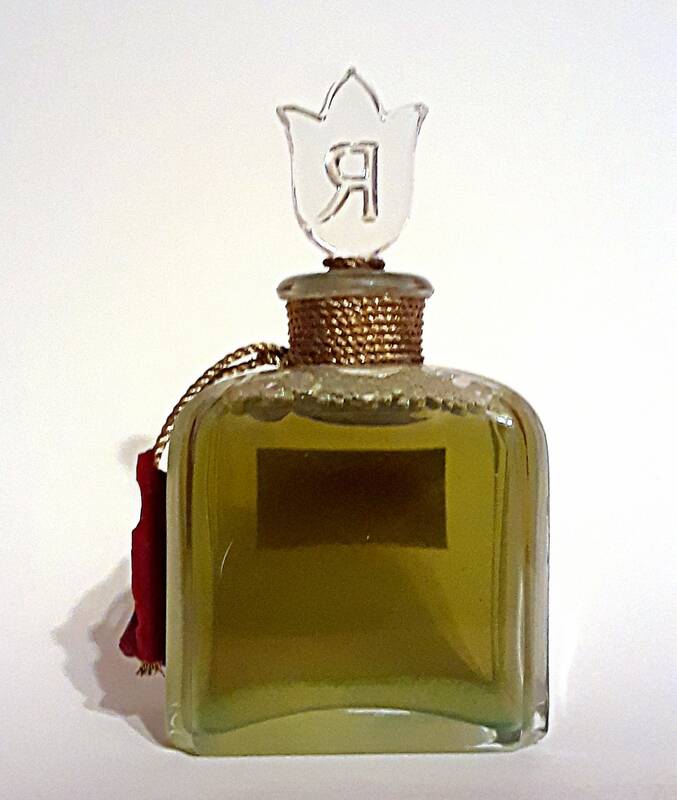 The bottle is filled with *colored water* and is sealed. 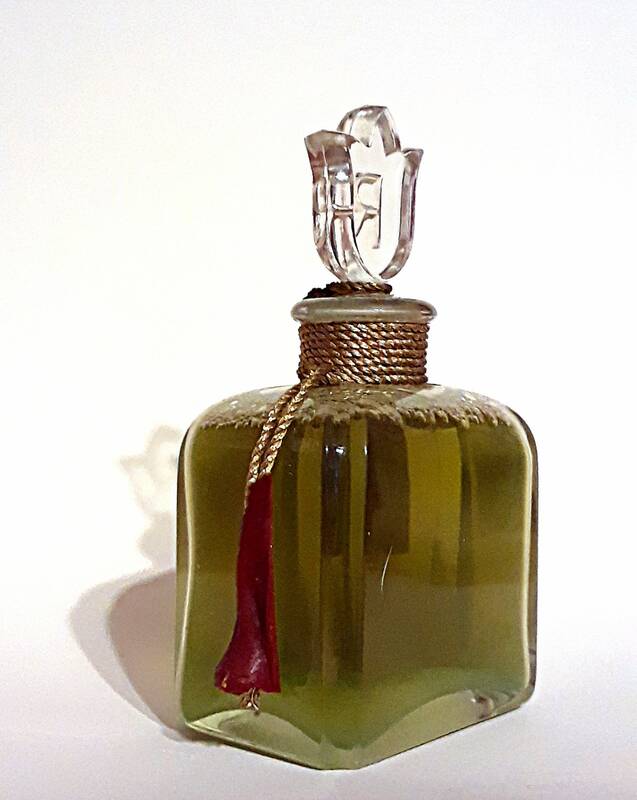 Bottle stands almost 4" tall and holds about 3 oz. 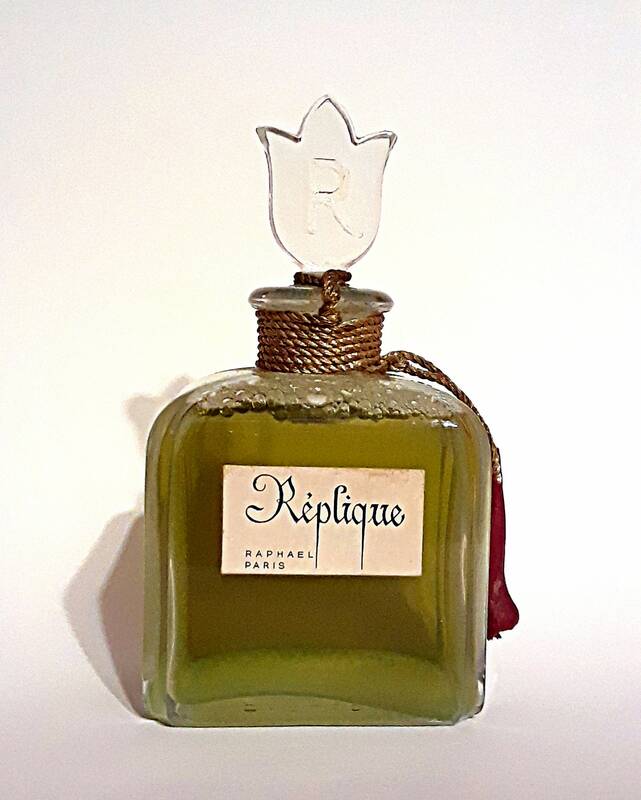 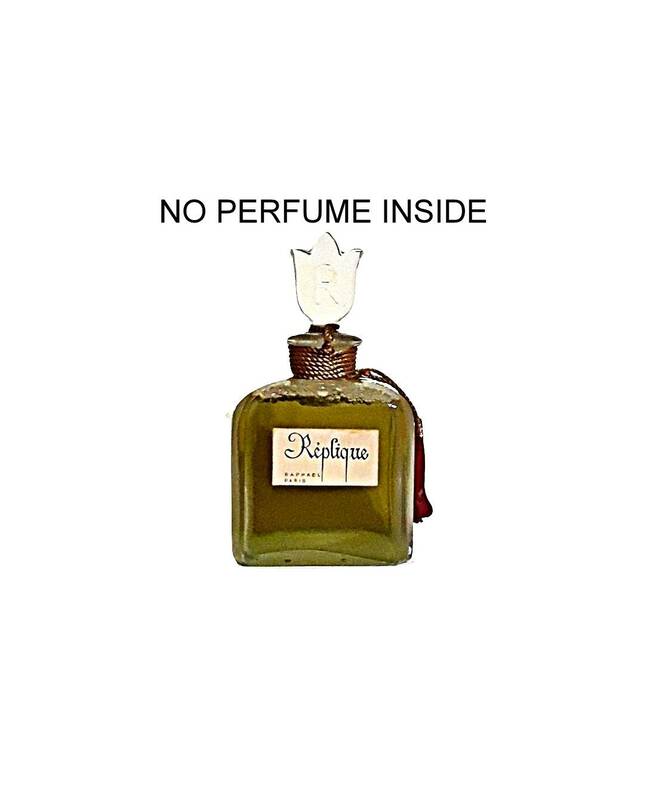 Replique was launched in 1944 by Raphael.